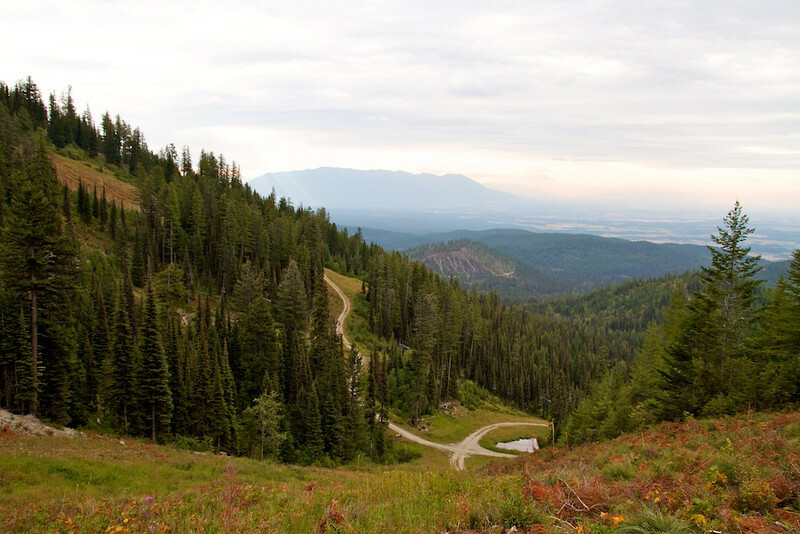 The Danny On Trail meanders up Big Mountain in Whitefish, Montana, offering views of the Flathead Valley and beyond. Yesterday, I showed you the view looking up at Big Mountain. Today, I’m showing you the scene as Alan and I hiked the 3.8 miles to the top with the Road Scholar Glacier National Park hiking program. All total, we hiked 7.6 miles while acclimating ourselves to Montana’s higher elevations. Stay tuned. Tomorrow I’ll be reporting on our favorite experience as our itinerary takes us into West Glacier, Avalanche Lake Trail, Going to the Sun Road and Many Glacier Hotel. Click on Road Scholar Glacier National Park hiking program to read all of the articles from this trip. Do you have a favorite Road Scholar hike? Join the conversation at the My Itchy Travel Feet page on Facebook or send us an email to ask a question or share your experience. To see more photos from today’s hike, visit our photo album at the My Itchy Travel Feet page on Facebook. Disclosure: Road Scholar has provided this travel experience, but the opinions are our own. So many hikes, so little time. Make the most of your visit by checking out our Montana Hiking articles.